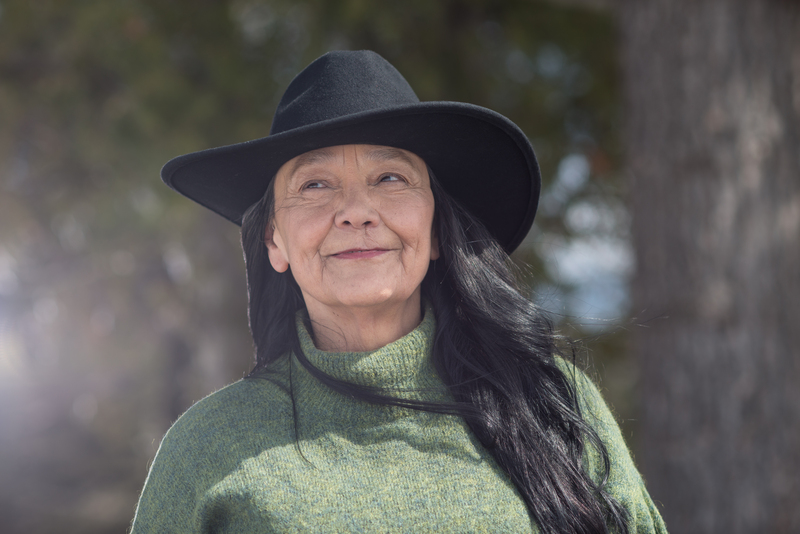 Acclaimed actress Tantoo Cardinal has been in more than 100 screen projects, yet she's just now enjoying her first leading role in a film. In "Falls Around Her," which screens Wednesday at TIFF Bell Lightbox in Toronto and opens Friday at the city's Carlton Cinema, Cardinal plays a renowned Anishinaabe musician who returns home to Atikameksheng Anishnawbek First Nation in northern Ontario to reconnect with the land and take a break. Tina Keeper plays her sister. Cardinal — who was born in Fort McMurray, Alta., and is Cree, Dene, Nakota, and Metis — says it's taken over 40 years to be the main focus of a big-screen feature because she can "only advance as far as the consciousness of the creators." "People are interested in their own stories, and then there's the aspect of the industry itself, in that the focus is primarily for younger people," the 68-year-old prolific performer said in a recent phone interview. Cardinal noted she's not a producer, writer or director, and is "really thankful for people who did go out and gain those skills" so that projects like "Falls Around Her" can happen today. "When I was coming up as a young actor, those roles were absolutely not available. Our filmmakers, some of them had not been born yet, some of them had not the skills yet, some not the opportunities. And also they have struggles being respected with the money and with that place of power." "Falls Around Her" writer-director Darlene Naponse also worked with Cardinal on 2010's "Every Emotion Costs" and is an Anishinaabe Kwe from Atikameksheng Anishnawbek. Naponse wrote the part of Mary in "Falls Around Her" specifically for Cardinal, the actress said. "I think the movie came along at a key time, because I was feeling an absolute depletion, because I wasn't having anything coming in — the good fodder, the energies that you need to stay on top," said Cardinal, a member of the Order of Canada whose other projects include the films "Legends of the Fall" and "Dances with Wolves," and the TV series "Frontier," "North of 60," and "Mohawk Girls." "I was just getting by. So (Mary) stepping away from it all and going back to the place of nurturance was exactly what I needed at that time." Cardinal was excited to tell a story that fosters an understanding of Indigenous culture and touches on important issues through a universal, contemplative tale rather than a historical look-back. "This has been a part of my dream for the vision, all those many years ago," she said. "There is a need for the majority of society, for one thing, to understand who we really are — because it's so easy to undermine us and to toss us aside and really consider us not as important as they are or whoever it is, or the system is set up in such a way that we are really kind of third-class citizens.... So much work has to be done to put us in the same room as human beings." Cardinal also found it fulfilling "to be able to tell the story of every woman, in a sense, but it's through the strength of who we are as Indigenous women," she added. "I think that's what Darlene has really brought forward in a really graceful kind of way. We need more of being in the same room, lots more of it. It's been, what, hundreds of years?" "Falls Around Her" is just one of many projects Cardinal has on the go these days. Her other new films include "Through Black Spruce," in theatres Friday, and "The Grizzlies," opening April 19. She also just finished shooting a pilot for a TV series called "Stumptown" for ABC. And in December she became a member of the Academy of Motion Picture Arts and Sciences. Watching all the films to vote on before this year's Oscars gave her a renewed passion for cinema. "I don't know how much time there was when I wouldn't go to see movies, I wouldn't watch movies, because it just hurt too much to see all the roles that I could have been a part of," Cardinal said. "To watch a movie would just always remind me about how difficult it is for us to be a part of that world of the stories that are being told. And I've been forcing myself to say, 'That's enough of that. Come on, let's check this out.' So the Oscars thing was extremely helpful, and I was so excited about (the nomination for) Yalitza (Aparicio) from 'Roma.' To see Indigenous representation like that is really exciting."